Craig Stevens is a photographer, printmaker and educator. 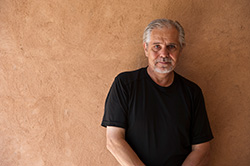 He has taught, written and lectured extensively on the subjects of art and education and is currently a Professor of Photography at the Savannah College of Art & Design. This will be Craig’s 38th year at the Workshops. Both to be held at the Maine Media Workshops. Experimental Digital Printmaking Workshop will be offered August 12-18.